Most people don’t know that there are active volcanoes in Southern California. They are the Salton Buttes, five lava domes in areas named Mullet Island, Obsidian Butte, Red Island, and Rock Hill. Red Island contains two of the domes. The Salton Buttes are located in the southeastern portion of the Salton Sea, an inland saline lake in the Salton Basin, a remnant of prehistoric Lake Cahuilla. This curious area contains a geothermal field, which fuels the strange mud pots found here, pools that contain a kind of acidic mud that bubbles up and is sometimes ejected out over the rim. Amazingly, microorganisms thrive in the boiling muck, and in combination with the acid, help to break down the rock to create the muddy ponds. The mud volcanoes here are created by the same dynamic. The spitting of the mud when carbon dioxide is released from a central vent slowly builds up a muddy cone that rises around it. Some here are as tall as five feet. The presence of the vents are believed by some scientists to be evidence that the San Andreas fault runs beneath them. Small mud pots can be found in the Ocotillo Wells SVRA area. 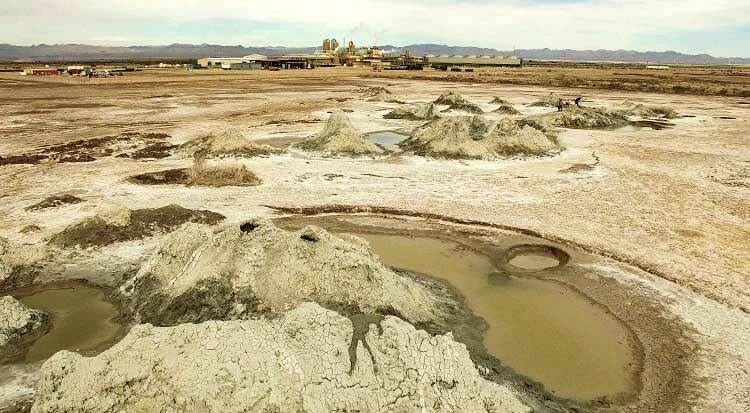 These mysterious, volcano-like pots of bubbling muddy liquid are located approximately one and a half miles into the public lands managed by the Bureau of Land Management. Strangely cold to the touch, the gray water here releases large bubbles of gas. These mud pots of bubbling liquid are constantly building themselves up by depositing more and more fine clay particles on the surface as the waters dries. The color comes from various minerals in the soil that have been dissolved in the water and brought up from underground by the rising gases. These domes are similar to the more active carbon dioxide mud pots near the Salton Sea. The domes have been fenced to protect their fragile soil structure. The flow makes the hills grow larger over time. Much larger mud pots can be found in the Davis-Schrimpf Seep Field, located at the intersection of Davis Road and Schrimpf Road on the southeastern side of the Salton Sea. There's also another field in the same area near Mullet Island; until recently these mud pots were underwater. 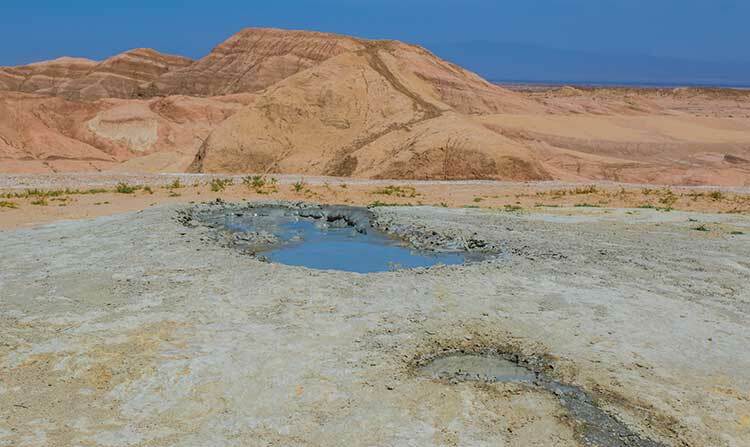 As the Salton Sea's water levels have dropped, more mud pots have been exposed. The area is now gated to keep vehicles out as it's become a test site for dust control studies. Geothermal energy is a renewable resource that uses the heat generated by the earth's core. Water is heated to produce steam and then reinserted back into the ground. The illustration below shows how a process could work. 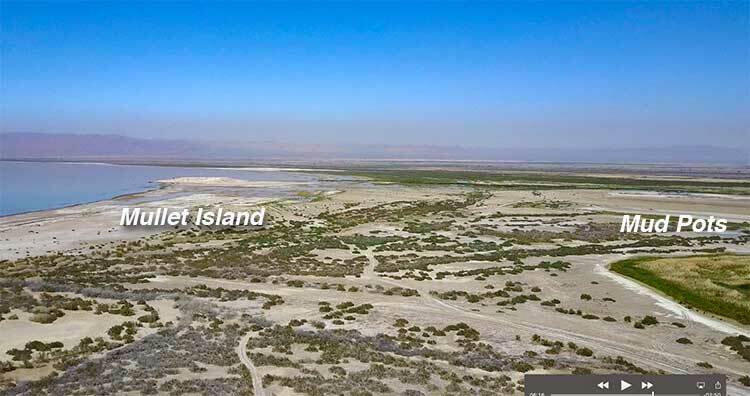 Energy.gov says, “The Imperial Valley Geothermal project consists of 10 generating plants in the Salton Sea Known Geothermal Resource Area in Southern California's Imperial Valley. The combined capacity at Imperial Valley is approximately 327 net megawatts.” Less than 6,000 feet below the surface here, temperatures may be up to 680°F. 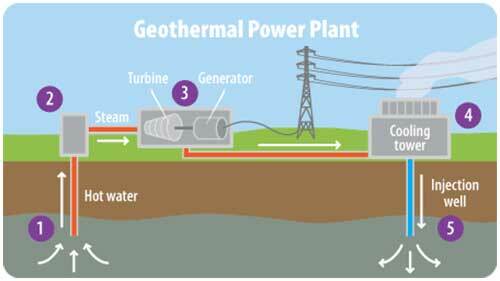 An Australian company, Controlled Thermal Resources, is planning to build a geothermal power plant. 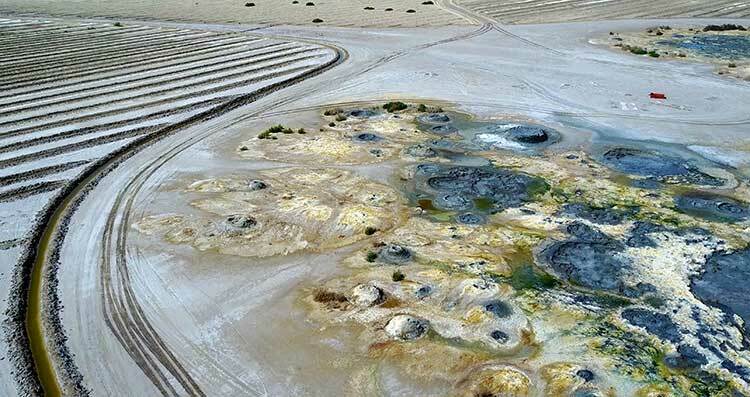 Another company, Alger Alternative Energy, is hoping to extract lithium from the brine used as part of the geothermal process. If the new thermal plant becomes reality, roads may be built, making access easier. If you go to this area, bear in mind that, like all things in nature, there are always some dangers involved. Always be careful, disaster is only one mistake away. Exercise extreme caution around mud pots. Do not climb mud volcanoes. This area is not suitable for pets. Children should be supervised very carefully.